"Michael and Theresa with Bralish and Associates are proud to be registered to sell HUD Homes!" How the buying process work Welcome to buying a HUD home. This is intended to give you a brief overview of the buying process. Anyone can buy a HUD home through Bralish and Associates. HUD homes can be purchased by anyone. While many homes are affordable, this is not a low-income program. Home may be bought by owner-occupants (who have a priority bid period for 10 days), and by investors, who can then bid along with owner occupants. 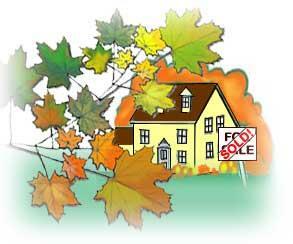 HUD homes are initially priced for sale at the appraised market value. The buyer may offer any price, but HUD will only agree to offers that provide an acceptable return. Price reductions may take place later if the home does not sell. HUD homes are sold "As Is"
It is extremely important to understand that HUD homes are sold in "as is" condition. This means that the condition of the home when you see it is what you will be buying. HUD makes no warranties, does not guarantee the condition of any home, and does not verify that it complies with any local code or zoning requirements. You must make any necessary repairs after the purchase. HUD may make, or give you an allowance for, major system or safety repairs only if you are purchasing with an FHA-insured loan. It is very important that you get a Home Inspection by a licensed professional prior to closing on the sale. When you buy another type of home, you can usually negotiate the contract and other transaction items over an unspecified period of time. When purchasing a HUD home, this is not possible. In order to be fair to all purchasers, HUD has imposed timetables that must be met, or your bid or contract will be cancelled and the home returned to the market. Once your bid is acknowledged as the highest net to HUD, for example, your agent at Team Bralish will and must send in a correct contract within 48 hours or the bid will be cancelled. Generally, closing must take place within 45-60 days. First Preston cannot change the HUD deadlines. If you want to make an offer on a HUD home, bid through Team Bralish, HUD-registered brokers. You should contact Team Bralish. Team Bralish will have a list of HUD homes from the MLS, which contains detailed information on the home. You may also see a HUD or First Preston sign on a home; these are placed on homes after the initial inspection and mean that the home is being readied for sale. To find out if the home is actually for sale, consult Team Bralish. All offers must be submitted by your broker through an electronic bidding process. Most offers are made via computer through the Internet. The electronic bids are stored in the computer system and, at the appropriate time, calculations are automatically performed to determine the apparent highest net offer to HUD. The apparent highest bid is acknowledged by First Preston to your broker, who is notified to send in a correct, signed sales contract within 48 hours. If the contract is not received within 48 hours or is incorrect, the home will be returned to the market or acknowledged to the next highest bidder. All acknowledged bids are subject to cancellation for prior sale, electronic error, and other conditions. An acknowledged bid does not constitute a sale; only a correct contract that is counter signed by First Preston and returned to your agent allows you to proceed to closing. All owner occupant offers received during the first five days of this initial period are considered to be received simultaneously. On the first business day after this period, these bids are reviewed to determine the highest acceptable offer to HUD. An owner-occupant purchaser is defined as a purchaser who intends to use the property as his or her principal residence; a State, governmental entity, tribe, or agency thereof; or a private nonprofit organization. Governmental entities include those with general governmental powers (e.g., a city or county), as well as those with limited or special powers (e.g., public housing agencies). When a property still remains unsold after the 45 day initial listing period, the M&M Contractor will re-analyze the case as soon as possible. The price may be reduced, and for five days after the price reduction, all bids are considered simultaneous, with owner-occupants given priority. After the five-day initial reduced price bidding period, then bids are reviewed daily and the acceptable bid that offers the highest net value to HUD (regardless of occupancy) is acknowledged. If your bid is acknowledged, your broker must submit a correct HUD Sales Contract, along with other required forms and Addendums signed by you, to the First Preston Regional office within 48 hours. You may be required to submit proof of financing commitment or cash to close, along with other items. You should be working with your broker to put the required items in place before you bid on a home, so that you are ready when the time comes. After your contract has been received correctly, it will be signed by First Preston on behalf of HUD and returned to your agent at Team Bralish along with a contract acceptance letter. The letter will give you up to 60 days to close. Once you are ready to close, you and your agent must schedule the date with the closing agent indicated on the letter, who also receives a copy of your contract. First Preston does not set the closing date; it is up to you. Generally, HUD will pay up to 5% of your broker commission cost, plus up to 1% for the mandatory BLB commission. In addition, HUD will pay up to 5% for standard closing cost items (excluding the closing agent fee which is paid for separately). These items are designated by the buyer and may include discount points, loan fees, title costs, surveys, and other items. HUD will also generally pay any outstanding seller costs such as outstanding tax or utility bills which relate to HUD's ownership. When you submit a contract, you must deposit earnest money with your agent at Team Bralish (not First Preston), usually in an amount of $500 or $1,000. If you know your transaction will not close, your agent must notify First Preston as soon as possible so the home can be returned to the market. You may have to forfeit all or part of the earnest money if the sale does not close. If the sale is to an owner-occupant and does not close due to circumstances beyond their control, the money may be returned. Please review the earnest money policy for your area with your broker before you place a bid on a home. Extensions for time to close may be granted, in 15-day increments, under certain circumstances. Extensions may be granted at no cost to owner-occupants under certain circumstances that are beyond their control, such as a delay in financing approval that is not due to the buyer. Extension fees may be charged under other circumstances, and for investors. Extension requests must be submitted to the closing agent (not First Preston) in writing prior to the expiration of the original closing date, and accompanied by a non-refundable fee, in certified funds, if a fee is required. Contact your closing agent for more information on this process. HUD offers a 50% off special program for Police Officers and School Teachers. *Contact Michael or Theresa at Bralish and Associates for further details and for a list of HUD Homes in your area of interest.